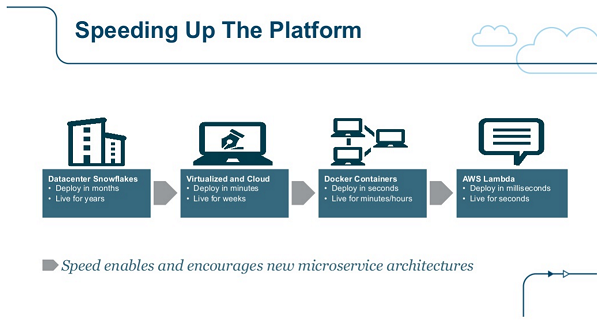 Docker allows the platform to move faster. From the business perspective, an important performance indicator of an application delivery platform is the ‘feature velocity’ that it allows. This relates to the time elapsed between the moment that a feature (or feature change) is requested, and when it can actually be tested out in the business. Docker has a number of features that help increase that feature velocity. The overall picture and feature set will be touched upon in the following section.